Phe.MOM.enon: Raspberry Lime Muffins for Mom, Awards and a Giveaway! Raspberry Lime Muffins for Mom, Awards and a Giveaway! Happy Mother's Day! I bring you today muffins for mom - the mom in this case being me, but I would serve them to the mother's I love without any hesitation. As my DH said this morning "these are a keeper." High praise from him indeed. You see, years ago, he would just say, "yeah, it's good" and leave it at that. Since he was basically my only usual audience for trying new things out on, I pretty much harassed him until he would give me more "constructive" criticism. So, now if I make something and he doesn't like it, I know he will tell me. About the only thing he doesn't like lately though is chocolate. Too bad for him, but more for me! CELEBRATE! Rather than share any long, involved stories about the mothers that I love on this day though I just want to keep it simple and short and sweet so that you can just think about your own mom and the women in your life that are important to you, whether they are mothers or not. Why? Because, though I think it is great that there is a day to celebrate mom (hey, I'm no fool, I like any holiday that gives me the chance for gifts) I happen to know many nurturing, loving, incredible "phemomenal" women who are, just by sheer technicality, not mother's in the conventional sense of the word. I like to think of mothers as all women - young, old and inbetween. Afterall, I think that the nurturing instinct that is in all women is to be celebrated. AWARDS: I've been saving up this day to make a special post with some awards to some very special bloggers who have touched my life and inspired me this winter. Today, I celebrate these amazing women and equally amazing and funny guys, and invite you all to celebrate them with me. There are so many others that are not on this list, simply because they have already received these awards or because I could only choose a few or because, bottom-line I haven't found them yet. You see, a while back, Chriesi from Almond Corner and Melanie from My Kitchen Cafe were both kind enough to award this little blog I started with awards. Chriesi gave PheMom an 'E' award for being an Excellent blog and Melanie gave it a Blogging with Purpose Award. Very cool. Very, very cool. Why? Because, when I started this, I remember thinking that I was going to do it, even if no one wanted to read it, but oh, I really hoped that it would be entertaining for more than just me. Afterall, I started this New Year's Eve because I was lonely and bored and 2 1/2 months into what has become our 7 months of seclusion. As I write this, I am still waiting for the go ahead from the NICU where Cole was born last October (7 weeks early). All they keep saying is "after Mother's Day." Ironic much? Yeah, I thought so too. So, I now have the privelege and pleasure of introducing my choices. As I mentioned, there were so many that I wanted to give this award to (as evidenced by the really long list of my favorite blogs I've found or had time to add to the list on the sidebar of this blog)! Now, for the Blogging with Purpose here are my "nominations." 4. the logo from the award can be put on their blog and to link back to this blog! THE GIVEAWAY: Now, if you've made it this far, to show my gratitude and appreciation for being here, all you have to do to have a chance at winning a $25 gift card to Sur la Table is to leave a comment here telling me why you love reading blogs. I know why I do, but I think it is fun to find out what appeals to others! I also want to thank you all for coming here and commenting - you will never know how much it means to me that you are here! So, comment away through May 15th and then I'll use a random number generator to choose the winner. So, now, I'll give you the recipe (finally, I know). 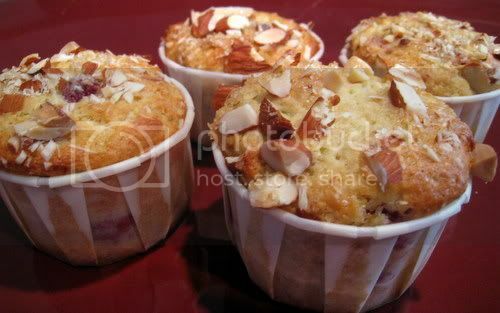 I simply adapted the recipe for Orange Berry Muffins in BFMHTY by Dorie Greenspan. In case you still don't have this book (and seriously, if you don't, what are you waiting for?!) I've noted the changes for the original below as well (see how nice I can be). Pour the lime (orange) juice into a large glass measuring cup or a bowl and pour in enough buttermilk to make 1 cup. Whisk in the eggs, honey and melted butter. In a large bowl, rub the sugar and lime (orange) zest together with your fingertips until the sugar is moist and the fragrance of orange strong. Whisk in the flour, baking powder, baking soda and salt. Pour the liquid ingredients over the dry ingredients and, with the whisk or a rubber spatula, gently but quickly stir to blend. Don’t worry about being thorough - the batter will be lumpy and bubbly, and that’s just the way it should be. Stir in the raspberries (blueberries). Divide the batter evenly among the muffin cups. Bake for 22 to 25 minutes. If you want to top the muffins with decorating sugar and almonds, sprinkle on the sugar after the muffins have baked for 10 minutes (I actually just sprinkled both of them on before going into the oven). When fully baked, the tops of the muffins will be golden and springy to the touch and a thin knife inserted into the center of the muffins will come out clean. Transfer the pan to a rack and cool for 5 minutes before carefully removing each muffin from its mold. That sounds like a wonderful recipe - I wish I had limes right now! I love reading blogs for a lot of different reasons. I learn new things and enjoy reading funny stories and seeing pretty pictures. I also get to see perspectives from outside my small town, which can be really helpful. Holly I'm honoured to receive an award. Thank you. I'm giving one straight back at you for all you have done in awareness raising of issues. happy mother's day!! and thanks so much for the award...i'm honored! I read it for the pictures & recipes. Delicious sounding muffins...if only I had raspberries! I like reading blogs, well...it started out as curiousity, then a feeling of I could do that...know I read and write...I read because I feel connected to people, want to know what is going on in their lives and read their great recipe ideas! I love reading blogs because I love reading other people's stories and learning fun new things! I also love recommendations and recipes! Holly, thank you so much! The award means even more coming from you, since you've used your blog so effectively to support the MOD. The muffin looks yummy! I read blogs for a glimpse into different lives and it's fun. Happy Mother's Day! Your muffins look yummy. I've been wanting to try that recipe, since it's one of the ones I missed before I joined TWD. I was also thinking of trying it with raspberries since I don't like blueberries. Which leads me to why I like to read blogs... I love seeing all the different things that people come up with! It's great inspiration to try things that I might not otherwise. It's one thing to read a recipe and think that it looks good. It's another to read a review from someone who has actually made it already. Thanks for this recipe! I love reading blogs for a lot of reasons. The biggest one I think is because with 3 little ones at home it's almost like having an (admittedly one-sided!) big person conversation. :) I keep in touch with friends, hear about another person's day, or a fave recipe, or just share some thoughts with the world. Blog entries are so personal it really feels like you get to know your blogging friends intimately. It's great to make lots of "friends" and share your life in your blog too! Happy Mother's Day to you! I hope that you are able to venture out of the house soon! 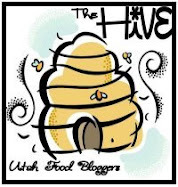 About blogging - all of the food is great and really gets my creative juices flowing, but the thing I love so much about the food blogging community is the support that everyone gives. You just don't find it the same anywhere is on the internet! Those muffins look so delicious!!! I will have to try them. I love reading food blogs because I love to see how people are inspired to create new things. I love learning about the back stories or family histories about the food that people cook and how they are passing on their legacy through food. I just love food!!! I read blogs because I live a sheltered life. I have a job and a home and a family -- need I say more? I don't go may places, do many things out of the ordinary - and they help me interact with the world "out there" somewhere -- thru my computer. 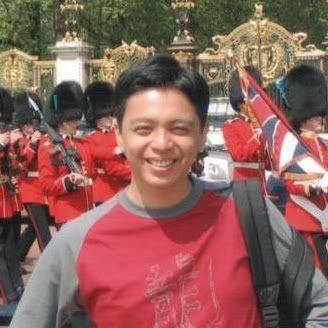 I learn many things, see may differnt viewpoints and experience new things - thru others blogs. Why I read other blogs to see what other people are doing, to get inspiration, to laugh. i love reading blogs, not only for inspiration, but to find unique recipes that include helpful tips, more detailed instructions, and most importantly, plenty of praise! Thanks, Holly! Double fun to receive that on Mother's Day when I'm already being catered to by my family. I love reading blogs for the inspiration it gives me to try new recipes and food. Plus I've made some good blogging friends and it's a fun way to stay in "food-touch." Happy Mother's Day to you Holly! Thank you for the award, I am trully touched. Why do I read blogs? For the laughters, knowing different worlds, cultures, cuisine and because it makes me feel like there is humanity out there and kindness. Those muffins, I can imagine eating early morning when I get online. With a nice cup of coffee. Yum. I read blogs because Im curious about how people think, live and their opinions on just about anything. It's pure intrigue to me. And I've met some great friends along the way. For me, food blogging is a way to create and connect with others who have common interests, to support and be supported, to learn from others and also pass on what I have learned. The people I've met are so outrageously generous and create a community across culture and geography. Cooking is a basic need and an elevated art at the same time. For me it erases boundaries and creates bonds. I feel friendly towards those who share bits of their lives and want to share a bit of mine too. Besides that I love the beautiful pictures and new interpretations of dishes that everyone comes up with- you're all just so dang talented! I love reading blogs to see what people cook in different parts of the world, for inspiration in my card-making endeavors, and for the stories people tell. I happen to like all your chocolate experiments and I know my husband is a big fan of chocolate too. I really enjoy reading blogs for a variety of reasons...I like the "personal" feel you get from blogs rather than a general web site. I love finding out about and seeing pictures of pets, kids, recipes, etc. I also like that a lot of blogs have links to small businesses and reviews of products. I love blogs! Thanks for offering the Sur La Table g.c. too! holly!!! thanks so much for the E award. it's so sweet. 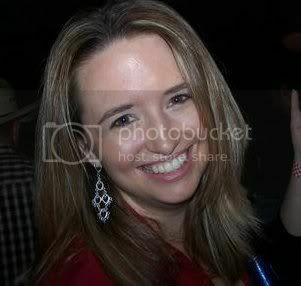 i'm so grateful and happy to have found you in the blogosphere! and i'd love to win the GC, of course. when i'm reading blogs i look for pretty photos. it's true. i am a sucker for really great food photography. good recipes, snappy writing and always, i love to read what moms have going on in the kitchen for and with their kids. 1. I feel like its a window into friends' lives so that we can informally keep in touch. 2. I like getting a "real" person's perception on recipes before I try to make/bake them. 4. Its a fun nouveau techie nerd way to meet new inspiring people that have similar interests as me. Thank you so much Holly, I too am truly honoured by your award...thank you! I adore blogs for many reasons - new inspiration, for fun, laughter, friends, to learn and understand new cultures... food is a great way to get to know people!! Blogs are just interesting...especially to see what input others have to offer! I love reading blogs as a constant source of inspiration. Also, living in a culture so different from my own, I use blogs as a way to feel connected. Oh gosh, why do I love reading blogs? Y'all will think I'm a totl dork here for being this cheesey but... they're life savers for me. Extremley socil but awkwardly shy, making friends ain't been the easiest thing for me to do. Some of y'all can probably relate to that. Blogging is so different, so much more comfortable ya know? It's not like trying to crash a party, here we can make a little something and grit our teeth and shove it out there before thinking better of it... and then suddenly there's another voice answering back with a kind comment, an encouraging word. We can peer out of the shadows and read about how other people have the same fears, make the same mistakes and realize we ain't the only ones who are shy. Suddenly we find that we're the encouraging voice helping somebody else with problems we thought only we had! Everything ends up brighter, friendlier, and less alone when we know we can connect with these other amazing souls as easilly as typing in a few words. I love reading blogs because you not only get new ideas but you can see peoples different personalitites as well. It's so fun! Sweet recipe! I love reading blogs because it makes me feel connected to total strangers that have the same interests as me. I love having a hobby, and I love to see how other people interpret food! I love reading blogs to learn more about cooking. I love finding all the recipes, tips, flavor combinations, and mouthwatering pictures. It helps me think about cooking in a way I wouldn't otherwise. Thank you so much for the award Holly! I am flattered that you thought about me and happy mother's day to you too! Sorry it took me a while to come to your comment section... after camping life is always a bit crazy. I love reading blogs because they are so real, fascinating, informative, humorous, etc. You can find anything you want in a blog. Thanks for the giveaway. I read blogs because, yes, I like to see what other people are cooking, but also for inspiration and motivation. Since I started reading blogs, I have made so many things that I never thought I would have been able to do before hand, and have pushed myself beyond my own comforts to do more. I'd like to think that there might be someone out there who is getting the same type of motivational inspiration from my blog. Mmm, those look so yummy! I could really go for one this morning! Wonderful. I love reading blogs because it keeps me informed and creative. As a culinary school student, I'm always looking for new ideas and challenges. 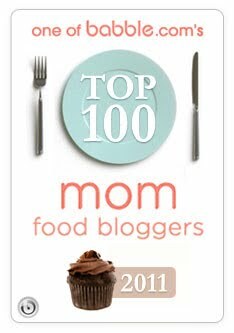 And thanks to so many talented food bloggers, there are always new and amazing things out there! Blogs are a huge source of inspiration for what I do in the kitchen. I love to see what other people are making and to try new things. I started reading them one day and now I can't stop. And what up with muffins?!?! Sound like Joust material to me! Wow, what a great post. I had no idea you were going through all of that with your little one. What kind words you have to offer others! Why do I read blogs? Inspiration. Sometimes I get up i the morning and I just feel tired of cooking. After a quick scan the blogs, I feel energized and ready to make anything! Loneliness... my husband travels nearly every week on business- leaving me to care for our home and our child. Blogging has filled that sometimes lonely void. A wonderful bonus has been making so many friends with similar interests all over the world. I know that others have taken it upon themselves to meet in person and become real friends... I hope to have that opportunity someday too. Looks like a yummy adaptation to the orange blueberry muffins. I read blogs for inspiration/ideas. I can't exactly put it into words very well, but it's like having millions of people's experiences at your fingertips. I love reading for new recipes to try at home for my family. 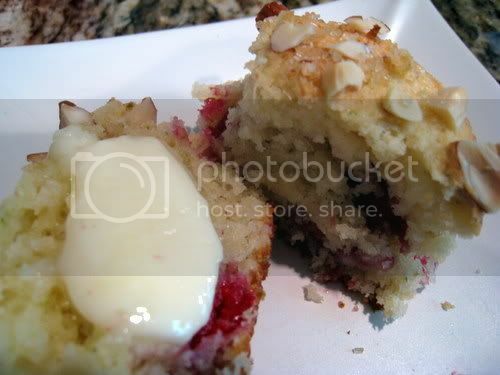 I love raspberrys and muffins are my addiction, cant get enough of the light and flaky or solid and rich, lol. I love reading blogs (especially food blogs) because people relate to the subject like I do, I love love love food and the culture that goes with it, its like a giant group of friends where everyone comments on each other or gives advice and opinions on the things that matter most to me or that make me laugh. its awesome all around, good people, good articles and great food! love the raspberry and lime flavor combo! i really want to try these once raspberries are in season. I love reading blogs because it's such an amazing experience to have ideas and information given with a personal touch.